This time Red Rake surprises us with the most retro style of Video Bingo. Neon lights, disco music and a lively DJ in order to breathe life into the liveliest Video Bingo by Red Rake. 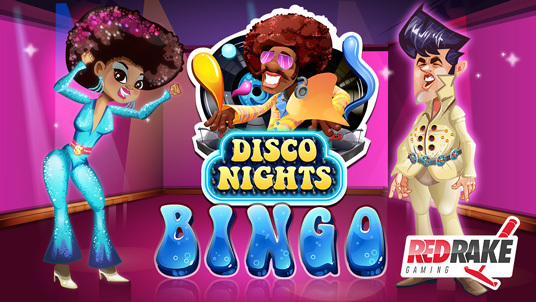 “Disco Nights“ has 2 bonus phases and 21 patterns with a prize where winning will be easier than ever! Also, you will have the chance to use 10 extra balls, with a wild ball and extra free ball to help you get Bingo. Have fun with the mini dance floor game and increase your winnings in the wheel bonus!